It has been over a month since we last did a rumor round-up, but since things are going to get wild starting tomorrow and then on through the month of September, we thought it was the perfect time to bring this series back. Motorola has big plans for next week, Samsung has a Note 2 on the way, there are Nexus rumors with manufacturer names attached, HTC still has a 1080p phone out there, and LG has a number of devices in the works. Again, it’s going to be busy. On September 5, Motorola and Verizon are going to unveil their next couple of 4G LTE products. While they haven’t officially come out and said it, there are enough signs pointing to it being a party dedicated to the DROID RAZR HD and the DROID RAZR M.
According to benchmarks that were outed months ago and an FCC filing, along with a number of other leaks, the RAZR HD will sport an HD display (possibly 4.6″), 1.5GHz dual-core Snapdragon S4 processor, 1GB of RAM, 2530mAh battery, NFC, and Ice Cream Sandwich. It should be a flagship, however, we aren’t sure exactly when it will be available. Verizon and Motorola are known for announcing phones, but not making them available for months. The RAZR M is a mid-range device that will sell for $149 on 2-year contract and come in both white and black. It will definitely be announced on September 5, and could be available within a week thereafter. It will rock out with a 4.3″ qHD display, 1.5GHz dual-core Snapdragon S4 processor, NFC chip, 1GB RAM, and Ice Cream Sandwich. It’s an interesting move by Motorola, to announce two new phones just days before Apple unveils the new iPhone. Will they be successful? That’s a great question. 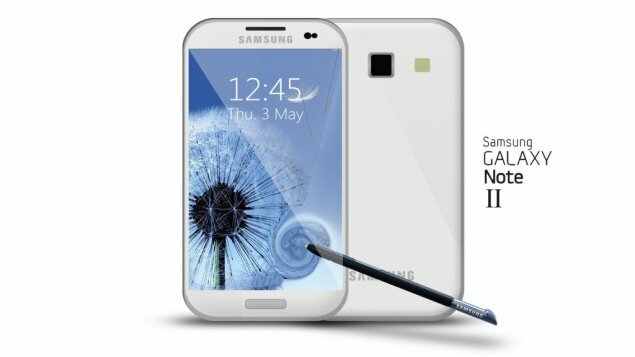 Samsung will announce the Galaxy Note 2 tomorrow, August 29, in Berlin (teaser video). The device is rumored to carry a 5.5″ HD Super AMOLED display, a 1.4GHz Exynos quad-core processor, 8MP camera, come in two colors, run on 4G LTE networks, and potentially run Jelly Bean out of the box. We get the feeling that this will have a major global rollout similar to the Galaxy S3, but are sort of expecting only European release dates to be mentioned tomorrow. Samsung sold 10 million Note’s over the last year, so clearly they realize that they have a winner on their hands. Hopefully, we finally see one on Verizon instead of the LG device we’ll be talking about in a minute. HTC’s has a 1080p phone with a 5″ display on the way, but it’s definitely stayed behind the scenes better than most phones of late. In fact, we first found a benchmark for it back in early July, yet have seen or heard very little about the phone since. According to this benchmark, it will have a 1080p display (the first for a smartphone), probably run on a new Qualcomm Snapdragon S4 Pro quad-core processor, and will undoubtedly have a 4G LTE chip inside. Rumors originally pegged it for a September or late-Q3 release, but again, things have gone quiet on the “dlx” front. And that’s unfortunate, as this is the one phone that I cannot wait to see become official. After owning a One X, I can easily say that HTC is doing some of the most amazing things with Android hardware on the planet. We have a month or two to go before we see a new Nexus phone, but all signs point to there being more than one. In fact, the latest rumor pegs Sony, LG, and Samsung as the OEMs who will create them. The names could potentially be the Sony Xperia Nexus, LG Optimus Nexus, and Samsung Galaxy Nexus 2. Will we see any of them on Verizon? Well, I’d actually be surprised. The Galaxy Nexus on Verizon has been somewhat of a success, but I doubt that Google views it that way. They have been vocal about their displeasure in the slow update process that comes with the carrier-branded package. Google also seems to love GSM rather than the difficulties that come with supporting CDMA, something else that goes against Verizon’s territory. I don’t want to crush dreams, but if you want a new Nexus device going forward, you may want to think about going prepaid or doing a month-to-month plan with T-Mobile or AT&T. LG doesn’t want the rest of the Android world having all of the fun, and has decided to put out two new phones some time in the near future. The LG Intuition is a renamed Optimus Vu and a 5″ behemoth of a device that has failed to impress most in the international game. Their other phone will likely be the Spectrum 2, which you can find across the globe as the Optimus LTE2. Neither are probably going to “Wow!” anyone like HTC’s 1080p phone will, nor can they stand up to the Galaxy Note 2, but we’re never one to hate on having options. I thought about leaving this off, but according to the Apple rumormill, a press event for the new iPhone will go down in two weeks. Most of us couldn’t care less, but it’s a part of this tech world, and you should all be aware. Will its arrival affect the rest of these Android devices that we mentioned? Of course it will on a sales level, which is why we are seeing companies like Motorola throw events the week prior. We may see one massive wave of phones in the next month, all from companies hoping to grab the attention of those that have been holding out for this new iPhone. I do not envy them.